The Pride Trooper Jiren is the next DLC character coming to Dragon Ball FighterZ. Bandai Namco announced a second phase of FighterZ, which will add five other warriors to the Dragon Ball Fighting game. Dragon Ball FighterZ second DLC Character The Pride Trooper Jiren. Bandai Namco revealed that Jiren will be available on 31th January. 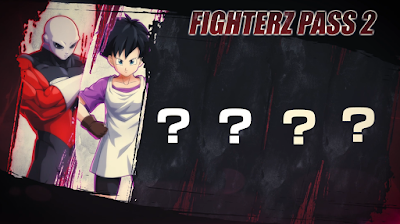 he will arrive alongside another new DLC character: Videl. Based on the video, it seems Videl will be able to call in Gohan naturally dressed as Great Saiyaman for tag team attacks. we also get a hint glimpse at two other upcoming DLC characters: Super Saiyan Blue Gogeta and Broly from the new Dragon Ball Super movie at the end of Trailer. No Footage of either fighter was shared, but the trailer says both are "coming soon". The remaining two DLC Fighters have yet to be announced. Bandai Namco announced the FighterZ Pass 2 will be available at the cost of $25 and Each character can also be purchased individually for $5.